The race to the top is never easy and knowing the best fields of study is essential for success. The best fields of study; the courses in demand; the best careers for the next 10 years; when have these questions ever lost relevancy. In school, every day seemed rosy and remarkably boundless. Discussions on the best fields of study were far away as the coming exams were the most important thing to consider. No one ever talked of the good courses to study. You were told and you believed unshakably, you can be anything you want to be, and why not? All the greatest cynics in the world were once first-degree optimists. Reality though isn’t a speed breaker, but a jump off a cliff. 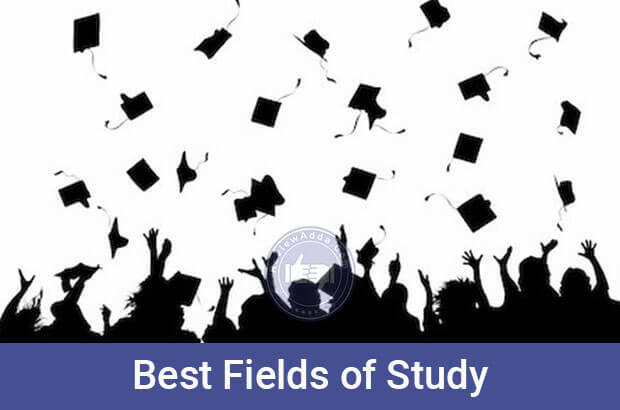 Though the ‘best fields of study’ is a phrase purely based on subjective interests and goals, confusion amongst students after they finish school lands this subject onto a forum of public discourse. Since advice is usually free and preaching has often swelled the preacher’s pride, students in India are always found in a perennial state of disillusionment about the best fields of study. Before gauging which careers are in demand and the best fields of study, there is a need to establish clear parameters which will help in deciding the Best Fields of Study and the careers for the next 10 year they present. 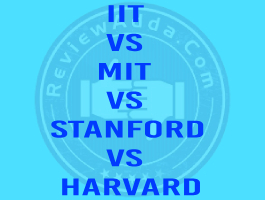 So what should the factors be to decide the best fields of study? Surely interests and passions should come out on top. There can be nothing more important than loving what you do selflessly. The answerson the best fields of study aren’t that simple. Generic factors aside, many students simply don’t know where their true passions really lie. Ask a bunch of engineers in their first year where their true passions lie and they will undoubtedly blurt out ‘engineering’. Ask the same question to third or fourth-year students, cold chuckles dipped in irony and regret will say what they truly want to be. In a survey done on the eve of Engineer’s Day celebrated on the 15th of September every year in India, over 58% engineers claimed given the chance they could go back in time and choose differently, they would. Even though 58% seems okay considering 42% still would do engineering again, over 1.5 million engineering graduates are produced every year in India. This means more than almost 9 lakh engineering students passing out every year wish they were in a different line of profession and simply do not consider engineering amidst the best fields of study. The reason why students never realize the best fields of study at the right time can be laid partially down on the state of the education system in India. But that is another bowl of steaming of boiling rice worth pondering over separately. What can be established is that interests and passions cannot be considered as generic and quantifiable factors. This article, in all honesty, is only for students who don’t know what their passions are and are unaware about the best fields of study. For someone who knows what they want to be, the world is your oyster. Be want you want to be. 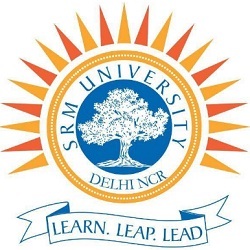 Now, the factors to be considered for choosing the best fields of study are scope and remuneration (salary). Yes, these are old and generic terms, but for someone confused and lost, the best fields of study are the safest fields. Like a wise man once said, ‘It is better to rich and depressed than to be poor and depressed’. With the factors decided and the core topic stated, let’s begin with the articulation of the best fields of study. There are many routes to a Career in Management. One can pursue MBA after graduation in a different field, or follow the more traditional route and complete graduation and post graduation in management related courses. Either way, management presents a plethora of different careers one can pursue, each with incredible pay and unrelenting growth making it amongst the best fields of study. One of the obvious careers in demand for management graduates is banking. While the image people usually associate with this sector is the mundane 9-5 job, recent developments and opening of areas such as investment banking and wealth management. Fields such as M & A (Mergers and Acquisitions, Underwriting, Private Equity and Venture Capital are considered some of the best fields of study in the current jobs market. 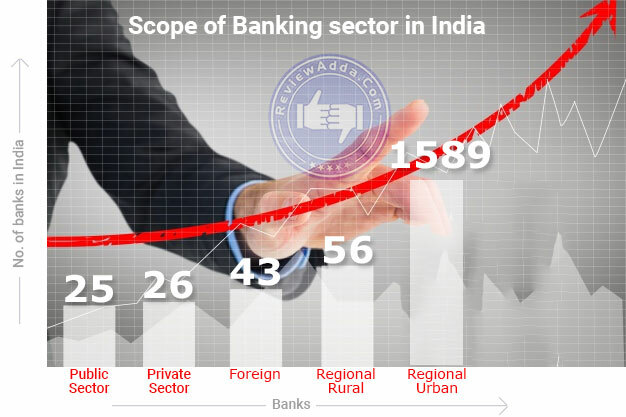 Besides such fields, even traditional banking has a massive scope in India. Public and private sector banks are still only a few in numbers compared to numbers in other developed economies. The banking sector in India has immense potential, making management one of the best fields of study. Aside from banking, Accountancy has always been a reliable profession for students to consider. Considered by many to be right amongst the best fields of study in management, charted accountancy is one of the most illustrious professions in India. Known to have a knack for being good with numbers and data, CAs are responsible for auditing and managing financial books of corporations and companies. Any major corporation needs CAs for book-keeping, income tax assessment and assets-liabilities management. It is fair to say that besides being amongst the best fields of study, Charted Accountancy is also one of the toughest. Even becoming a CA entails clearing a long list of exams. Only students comfortable with numbers and data analysis should consider this as a profession. Nothing is worse than wasting 5-6 years of one’s life with no discernible end product. This number is devastatingly alarming. If 9 lakh students do not want to be engineers, but they are anyways, can one expect them to be ever truly satisfied and happy with their lives? The short and long answer is no. The age-old profession of engineering is still amongst the most careers in demand and the best fields of study in college. 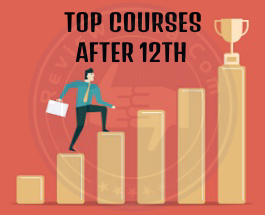 Divided amongst forty different Engineering Courses, this entry amongst the best fields of study has grown incessantly over the past few years as the IT sector has grown leaps and bounds. Pick up any period of modern history, every era has engineering amongst the best fields of study. Industrialization had mechanical, urbanization called upon civil and structural engineering and the current era is the age of IT and computing. This is why engineering will literally never die. Because humans have an inherent tendency to evolve with time, engineering will always remain a sector never devoid of demand or purpose. While the IT boom is on its final legs in India, new fields such as automation or aeronautical may become the best fields of study in the future. The problems engineering has faced over the past few years have been a lack of evolving from engineering colleges and the unsupervised manufacturing of below-par engineers in the country. When the IT revolution began, major giants in the field hired students only after a training period of 4-6 months. This practice would have become redundant if engineering colleges amended their curriculum to meet industry standards. The colleges however ignored this trend. Over time, the same IT Companies who hired all these engineers grew tired of training professional engineering graduates. This began the switch to automation in the IT sector which rendered hiring of new recruits as surplus to requirements. Does this though drop engineering a peg or two down as the best fields of study for jobs? Apparently no, it doesn’t. Past trends have always shown saturation in booming sectors. IT has reached a point where progress isn’t as easy as it was before. The market inevitably will move in a different direction, which will cause another emerging sector to commence its climb to the top. Emerging fields such as mechatronics, automation and robotics present themselves as the future of engineering. The dynamism of the tech field taught the market one important lesson: consumerism can never die. As long as developing nations continue their trajectory, people will never get enough of the latest new toy in the market. 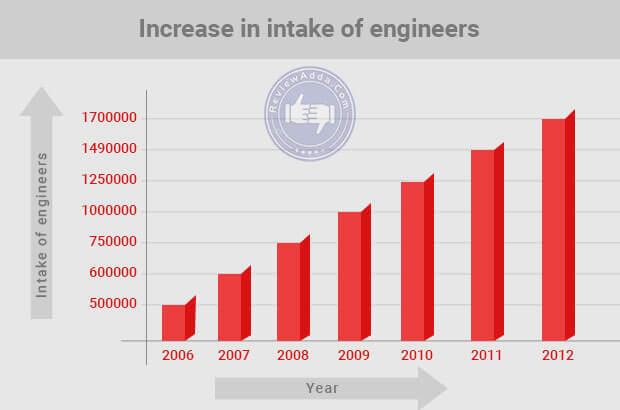 This trend will always ensure engineering to be amongst the best fields of the study and the top careers in demand. Coming to the choice of stream, this is another subjective topic. While one can succeed in any stream they choose if they’re passionate enough, there always one safer branch over the other. Amidst uncertain times for engineers and engineering, it is advisable to go for traditional branches of engineering because of their versatility and acceptance as the best fields of study in India. Whenever one hears medical, the picture of a doctor clad in a lab-coat comes to mind. How have the times changed? 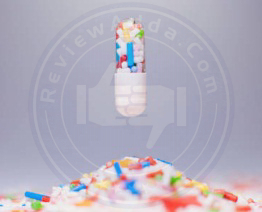 Medicine is now a booming sector teeming with possibilities way beyond MBBS itself. If one has an unhinging passion for biology but deems the process of becoming a doctor too long and strenuous, the market is now open to new possibilities. Though Biotech hasn’t lived up to the hype it created many years ago, new fields such as Bioinformatics and Biomedical engineering have bolstered research and funding into this sector. Though India is still acclimatising to this particular sector, biotech and biomedical engineering are one of the best fields of study abroad. Students having no qualms about leaving India for studies should definitely consider this field as a strong option. Coming to regular medical courses, the demand for doctors in India has only increased over the years. The problem in this field is brain-drain. Even though medicine is one of the best fields of study for candidates, India lags behind on the global stage. Many of India’s best doctors leave the country immediately after their internship for greener pastures. The chance to move away and earn much more than they could in India is sometimes too tempting to turn down. This is one of the reasons many consider medicine to be one of the best fields of study. Due to the potential of a high level of remuneration as well as serving people at the same time, medicine has maintained its prestige over the years and remained amongst the best fields of study. The strange part here is the doctors to patient ratio in India. 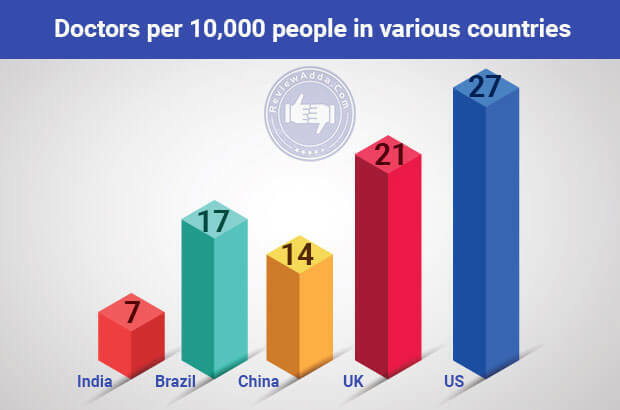 According to the calculations done by the Medical Council of India, there are merely 7.4 doctors per 10000 people in India. This statistic is offsetting considering medicine has always been a popular choice amongst students. The answer lies in the distressing state of doctoral education in India. There are nearly 50,000 MBBS seats amongst all medical colleges in India. However, for post-graduation, there are merely 12,000 for specialized clinical disciplines and 10,500 for non-clinical disciplines. 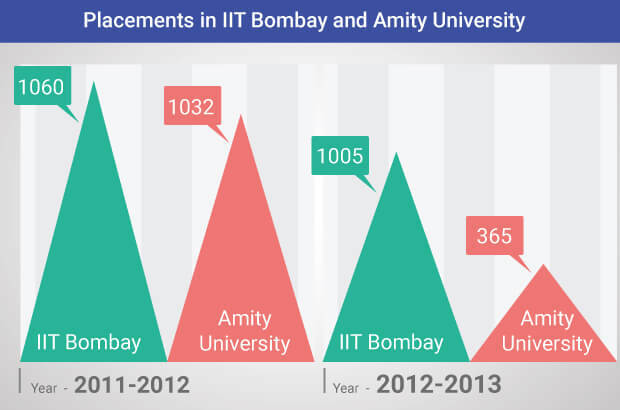 This distortion in MBBS and post-graduate seats has caused many MBBS graduates helpless. Because of strict regulations installed by the Medical Council of India, MBBS graduates are not allowed to treat patients with major ailments. This sticky situation is making potential doctors to be averted from pursuing medicine and look at other options. Relatively unknown, actuarial science represents one of the best fields of study in the modern jobs industry. People proficient in mathematics and statistics are perfect for this field of study. Actuaries essentially use mathematics and statistical models to evaluate risk in insurance, business and other industries. To become an actuary, one needs to first clear ACET, an entrance exam conducted for membership to the Institute of Actuaries of India. Following the clearing of the exam, an IAI member has to clear nine core technical papers to become an actuary. However, companies start hiring members after they clear a minimum of two or three exams. While this field hasn’t taken off in India, the recent surge in the insurance market of India presents a unique opportunity for students after schooling itself. Success in this field though is predicated on having a very strong mathematics background. Although IAI prefers students from professional graduate backgrounds such as engineering, CAs or CFAs, students can apply for the exam straight after passing 10+2 exam. Due to less competition and exclusivity, this field is amongst the best fields of study at the moment and is expected to have tremendous growth in the coming years. When have teachers gone out of work? As long as education has been deemed a right for all, teachers have been needed to do the needful; which is to impart knowledge. Modern-day teaching though has expanded far beyond schools and colleges and landed it amongst the best fields of study. The advent of coaching centres prepping students for nearly all entrance exams under the sun. Unlike schools which pay teachers basic salaries, coaching centres these days are offering mega packages to top college alumni to become faculties at their respective institutes. This trend has caused many engineers and doctors to leave their general area of study and become teachers at coaching institutes. Besides coaching institutes many school teachers run small-scale domestic tuition classes. The reason teaching is now being deemed amongst the best fields of study is surprisingly the gap between teaching at school and the level of standardized tests such as JEE and NEET. The school curriculum today is a machinery focused on churning out top draw scores in CBSE Board exams. In this race, the focus on success in entrance exams is often forgotten. This is the reason why students choose to join coaching classes. To reach a high level of preparation by merely concentrating on board exams has become impossible, going by the difficulty level of recent exams. In this climate, teaching has become an exceptional career and clearly rank high amongst the best fields of study. Besides teaching at coaching centres, many private colleges are also hiring postgraduates and PhDs these days as faculties. Being a professor was earlier considered a thankless job, but private colleges and universities have created a massive demand for qualified professionals to come in as faculties. This field has only recently caught the eye of several graduates and postgraduates. Since this profession is yet to hit its peak, there aren’t many better areas amongst the best fields of study than teaching provided one has the appropriate qualifications. Creativity knows no boundaries as far as filmmaking is concerned. Though the filmmaking world is open for people from all backgrounds, humanities and art students excel the most in this field due to their holistic approach to the process. Making it in the film industry was earlier deemed a chakravyuhof nepotism and trivial traditions. With the open nature of the industry at the moment, many newcomers are being given their chance to shine. Besides conventionally releasing films in cinemas, online streaming services such as Hotstar, Netflix, Amazon Prime Video and others are creating quality content for the audience online. Since there isn’t any limit to the number of shows online, these companies are giving talented filmmakers opportunities to create content which isn’t bound by any kind of censorship. Artistic and technical skills work as guarantees of success as far as this domain is concerned. However, training makes students perfect in domains like acting, direction, cinematography, sound engineering and other aspects. Students who pursue film studies can work with production companies, advertising agencies, film studios, etc. Further, they can earn a name for themselves as directors or producers, even actors or actresses. This field is based purely on creativity. Although there are many acting and drama schools, there aren’t any college majors to study for recognition in the film industry. For those who do make it big in the film industry, this is amongst the best fields of study in India, if not the best. One often misses the good old armed forces while discussing the best fields of study after 12th. Though the Armed Forces do not claim to provide any tangible form of education, the qualities they ingrain in a candidate coming out of school change the person forever. Associating growth and remuneration with the army seems morose, as life in the army means something more than mere cheques and paydays. Amongst the best fields of study, the Armed forces start inducting students into the National Defence Academy (NDA) after secondary school examinations. The induction is based upon a written exam conducted by NDA and a physical exam conducted only for applicants who clear the written paper. One can even join the army after finishing college. Pre-final year engineering students can join through the University Entry Scheme and graduates can join through Short Service Commission. Though there are many other areas which can be deemed the best fields of study as well, the aforementioned seven present a brief outline of today’s jobs market in India. Before one tries to rush into a judgment over the best fields of study based on this article, remember, it is never too late to do what you really want. Some people realize in two years, some in four and some in ten, but they always do. The last thing India needs isengineers or doctors who don’t find satisfaction in their profession. The best fields of study, as mentioned in the beginning, are merely a myth. For individuals, the best fields of study are those which they excite and inspire them. 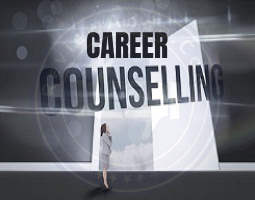 Careers in demand, best careers for next ten years and best fields of study are queries of a confused and indecisive mind. This isn’t an indictment on those confused students. The very fact that a student is confused over his/her passion after 12 years of education is a damning verdict on the state of our education system. Due to more focus on learning and remembering and less emphasis on helping a student find his/her true passion is comparable to training fishes how to run. For those who still advocate the brilliance of our education system in gauging the best fields of study, a riddle ends this debate for good. Q: Imagine a student who wants to be a dancer after 12th. What does he/she do? A: Yes, the student should pursue engineering.